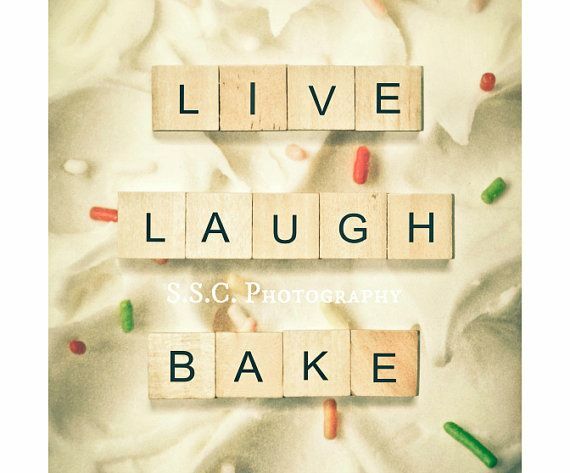 25 years into this wild ride of life – 40 is the new 20, after all – I have finally decided to follow my baking passion. I’m moving forward with plans to start my own bakery, and am locking and loading the pieces and parts to chase a dream, praying I fit through most doorways at the end of the year after all the sampling of batter, ingredients, and final products. Yes. I eat batter – cake, brownie, cookie, scone, cupcake… if the whole raw egg thing was hard-core reality, so many of us wouldn’t have made it past childhood and raw cookie dough. Here’s to the multiple rolls of Toll House cookie dough rolls my roommate and I ate in college. By. The. Spoonful. Truth is, I will only sample very small amounts… while my opinion bears some weight, I’m not shaking and baking for my palette. I’m looking for various captive audiences who’re waiting to sample everything I make, and it’s their opinions that matter. I decide the item (cookie, brownie, etc. ), and I want to know what recipe others think is worthy of making the cut. Some will be unique items that have no counterpart — like a seasonal cake — but others, like chocolate chip cookies or brownies will need a serious bake-off. Side note here… the brutal brownie battles will soon begin, and I have been in a serious brownie war with a friend of mine for years, but she’s lovingly agreed to help me with my trials. Damned if I am going to lose this one…I’d never live it down if her recipe is the one that wins for my bakery. Thus, my #365daysofbaking journey has begun. Yep. This year, I will make, eat, and share 365 recipes. Maybe one a day. Perhaps two in a day and take a day off… but, in the end, 365 recipes. Truth is, I’m an overachiever, and it’ll likely be more like 500 recipes. My concept is truly simple…I want to run something akin to a glorified farm stand…simple, but not basic, sometimes rustic, always seasonal, fresh, literal farm to table. We have a small orchard on property and know many local farmers, and the main ingredients are going to come from the farm and go into a can or baked good. Yes, canning will be a part of the recipes some days, as I’m always scouting for new, fresh canning ideas to peak the palette of the masses. I have my tried and true that will absolutely be on the best-selling menu, but I have a delightful cranberry marmalade recipe and several citrus marmalades I want to try out this year. I’ll keep a running list of my recipes here with links to the posts. You’ll just have to read them to see if the recipe worked, is worthy of remaking if it didn’t work, and which ones will soar to the bakery with me. Either way, you know there will be humor in every post. So I’m off and running! Well, that too, because I’ll need to in order to stay trim, but I’m off and baking! Day 1 & 2 are down, and day 3 & 4 to come.